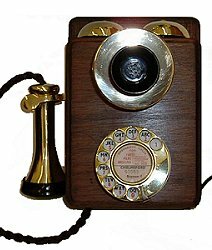 This is an original antique wooden wall telephone housing that has been made to work using remodelled brass components. 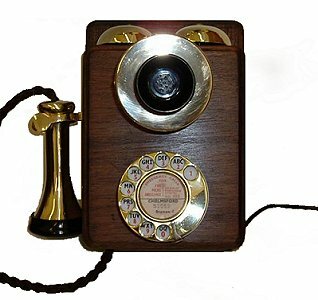 This style of wall phones was mainly produced between 1911 and 1929. A handsome working telephone. Full 1 year warranty from date of purchase. Full repair service available after this period.